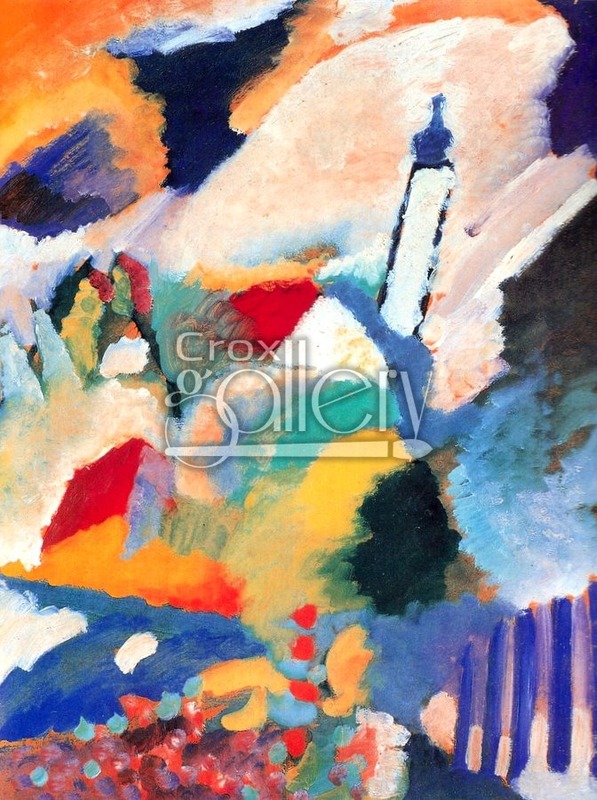 "Murnau" by Kandinsky, Figurative Masterpiece Reproduction. 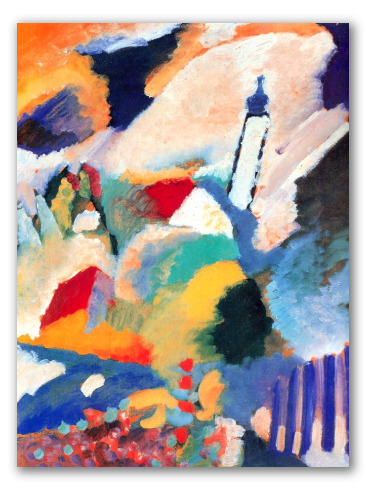 Murnau was painted by Wassily Kandinsky, in 1910. This painting shows the figure of a church. The original masterpiece is displayed in Lenbachhaus, Munich. Handmade reproduction on canvas.